Stock status is current as of 4/20/2019 4:23 AMET. 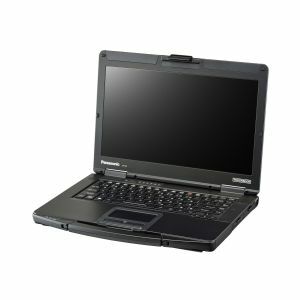 The Toughbook 54 Prime laptop from Panasonic uses the technical advances to create a lighter laptop. It features a spill-resistant, full magnesium alloy design, hard drive heater and backlit keyboard to suit every need. The Toughbook 54 Prime has a wide range of integrated features such as dedicated GPS and insertable and contactless SmartCard readers. It is the semi-rugged laptop offering an optional second battery, allowing hot swap battery replacement without the need to shut down or hibernate.